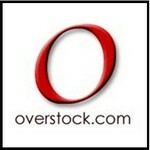 To help you find the Best Watch Stores, TopConsumerReviews.com provides you with an in-depth comparison of Overstock and Princeton Watches. With so many fly-by-night watch stores popping up, you might enjoy shopping with a store that has been in the watch business for over 30 years. Princeton Watches got its start in 1980 and has had thousands of satisfied customers - as shown by their "A+" rating and accreditation with the Better Business Bureau. Princeton Watches has made some nice upgrades to their website since our last review. You can still shop by brand - more than 50 to choose from, like Casio, Invicta, and Citizen - but the left-hand navigation options now let you sort by watch style, price, gender, accent, movement, material, and more. You might still need to click on a brand name to find what you're looking for; when we sorted by men's, women's, and unisex watches, we didn't find any Garmin models, but we found dozens when we clicked specifically on the brand link. You can find out more by clicking on a watch that catches your eye. You'll see a description of the watch, along with details regarding water resistance and case size/thickness. This section isn't as thorough as some of their competitors, but it still offers you enough information to decide on your purchase. Gift wrap is also available for an additional $4.95. When looking at other watch stores, we found Princeton to be more expensive than many of them. For example, the Tommy Hilfiger Men's watch we considered was priced at $95 at Princeton Watches, but we found it at several other stores for $75-$80. We'd love to see this retailer offer a price match guarantee, to keep them more competitive with other retailers. The return policy at Princeton Watches remains the same: 30 days from delivery on all unworn watches, with no restocking fees charged. Shipping via UPS Ground is free on all orders of at least $50; on any purchases of $149 or more, you'll get a complimentary upgrade to UPS 2-Day delivery. These rates apply within the lower 48 United States. We give Princeton Watches props for improving their website, offering free shipping on most watches, and for having a solid reputation. We hope to see more positive changes from them in the future, especially when it comes to competitive pricing.